Lila desperately wants to be a firework-maker like her father. But when he refuses to teach her, Lila runs away from home to discover the three gifts of firework-making for herself. With the help of her friends, Chulak and Hamlet, the love-sick elephant, Lila faces pirates, tigers and the terrifying Fire-Fiend on her perilous quest to find out what the three gifts really mean. The Firework-Maker’s Daughter has long been one of my favourite books, when I was a much smaller Emma I even dressed up as the main character, Lila, for World Book Day. Aside from an old woman and Beatrix Potter it was the only real dress-up situation I had (Beatrix Potter was more of a lifestyle than a costume, child-me thought she was Beatrix Potter in a certain outfit). 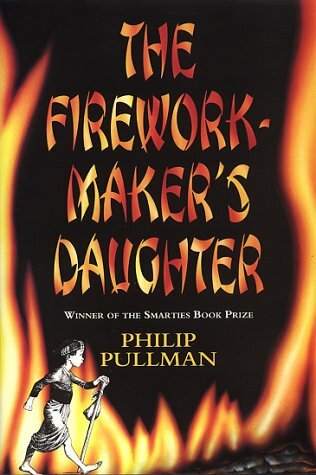 I read a lot of books as a child and The Firework-Maker’s Daughter is one that always comes back to me so, naturally, when I saw that it had been turned into an opera and would be at the Oxford Playhouse for only three shows I had to see it. I wasn’t sure what to expect, I knew it was an opera but it was also an opera for children which is something I have never seen. Due to my love for the book I had high expectations and I was not disappointed. Produced by Opera North, The Firework-Maker’s Daughter has a small cast with Mary Bevan playing Lila, James Laing as Hamlet, Amar Muchhala as Chulak, Wyn Pencarreg as Lila’s father Lalchand and Andrew Slater as the hapless Rambashi. I have to admit, at first I wasn’t sure whether I was going to like it but after a shaky start I found myself giggling along and immersing myself in a new take on a familiar world. All of the performances were strong, with some of the cast taking on other roles throughout the show, and it’s clear to see that a lot of love and thought has gone into the adaptation. The use of shadow puppets was excellent and some of the songs were complete ear worms and are still in my head. The second half of the show was fantastic, atmospheric and at times appropriately comic. I can’t emphasise enough how perfect the scenes inside the mountain were and I highly recommend going to see it even if you don’t usually like opera. The audience was filled with children and they all seemed to love it too. It was a great trip back to my childhood and left me simultaneously wanting to be an elephant and a firework-maker. Wonderful.